Fortified wines were first believed to have been drank around 400 B.C. in Ancient Greece. It was mainly used as medicine; such as to cure intestinal problems, much like modern-day bitters. This wine was also used to mask bad odors and flavors to keep things from spoiling. Venetian merchants are believed to have first brought spices to Turin (Torino) from several different countries to add into perfumes. These perfumes would be added to wines and then they would be used for a medicinal purpose. Vermouth comes from the German word “wermut” which means “Wormwood”. Wormwood was one of the original ingredients in this fortified wine and was first believed to have been produced around the 16th century. Wormwood was used because of its belief in curing stomach disorders and internal parasites. The first man believed to have begun production was D’Alesso in Piedmont, Italy. He made a “wormwood wine”. By the mid 17th century this “wormwood wine” became popular and the German word “wermut” became “Vermouth”. Grape wine is used as the base ingredient and then additional alcohol is added. After, various dry ingredients are added into the wine such as botanicals, herbs, roots and barks to add flavor and color. This why they’re called “aromatized wines”. This includes vermouth, quinquinas, americanos and other wine products. Vermouth was first produced in the late 18th and early 19th centuries both in Italy and France. It was originally consumed as a medicine before its use in cocktails. In Turin (Torino) Italy, Antonio Benedetto Carpano created the first sweet vermouth around 1786. His vermouth became very popular with the Royal Court of Turin and with women. It was called the “official court aperitif” by the King. Currently both Cinzano and Carpano are going back and forth on who created the first sweet vermouth. Cinzano says that they created the first sweet vermouth in 1757. It was a faint flavored vermouth only released in European markets. Between 1800-1813, the first pale, dry vermouth was produced in France by Joseph Noilly. Vermouth today has several different styles and uses. They can be used as aperitifs to stimulate the appetite and produce gastric juices before a meal. Aperitif comes from the Latin word “Aperire” which means “to open”, as in opening the appetite. Sweet and Dry vermouth can add certain flavors or brighten cocktails due to their unique flavors and aromas. It is still also very popular in cooking due to those same flavors that make cocktails so delicious. Dry Vermouths are traditionally lighter in body and a pale straw color. Their sugar content usually doesn’t exceed 4%. Bianco Vermouths contain between 10-15% sugar content. Out of all styles of vermouth available, they average around 17% ABV or 34 Proof, which makes them great modifiers in cocktails or aperitifs. There are 4 main grapes that are used in the production of the different styles of vermouth (mainly sweet and dry). These are all a white grape or mistelle base. Mistille is the process of adding alcohol to juice of crushed grapes rather than fermenting them, to produce alcohol. This process yields a sweeter base because the fructose isn’t converted to alcohol. I will get into why sweet vermouth has a darker color to it in a bit. Vya is one of the current producers in California who uses Orange Muscat grapes in their wines. First a low alcohol white wine is produced. This wine may or may not be aged. After this process, the distiller will decide which wines will be used for sweet, dry, rose and other vermouths. If it is determined a sweet vermouth needs to be produced, sugar syrup will be added before fortification. The sugar syrup, burnt sugar, caramel syrup or coloring is what gives the vermouth its rich color. Fortification is normally done with a grape spirit, but it can also come from another source. The main spirit used is an unaged brandy in most vermouths. 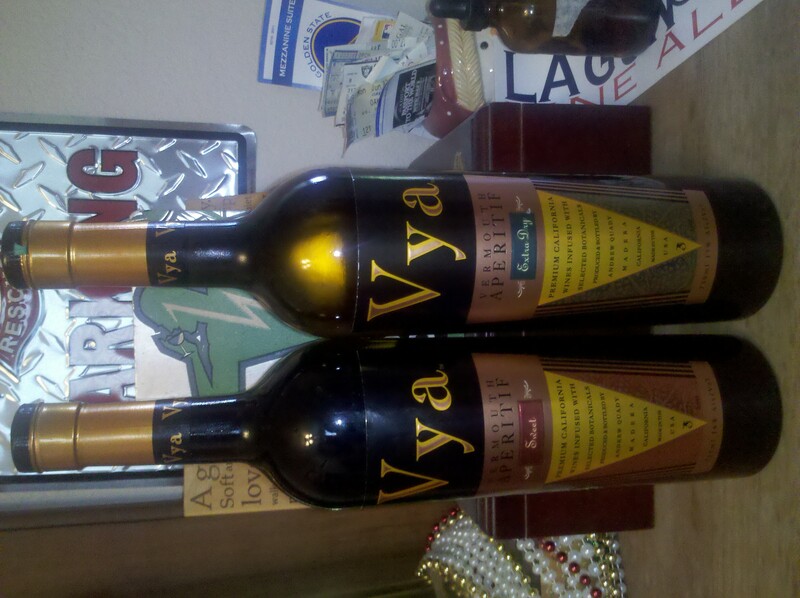 Vya will add some port wine to their vermouth. Once the spirit has been added to the wine, it is added to barrels where all the dry ingredients have been added. The mixture in the barrels is agitated until all of the ingredients have been absorbed. Some of the dry ingredients which give vermouth its characteristics are: cloves, cinnamon, citrus peels, quinine, cardamom, marjoram, chamomile, coriander, juniper, hyssop and ginger. The wormwood that gave Vermouth its name was prohibited in the wines in the early 20th century. Vermouth di Torino: Known as “Italian Vermouth” or “Sweet Vermouth”. Usually red in color, mildly bitter and slightly sweet. This area has a Denomination of Origin (Cocchi Vermouth di Torino). There are several different companies that create this type of Vermouth: Carpano Classico, Cinzano Rosso, Cocchi Vermouth di Torino, Stock Sweet Vermouth Rosso, Gancia Rosso, Martini & Rossi Rosso and Casa Martalleti Vermouth Classico. The House of Cocchi makes still, sparkling and fortified Muscat wines. In 2011 they created their original vermouth style. This is the 1st Genuine Vermouth di Torino and is now a protected Designation of Origin. Vermouth Amaro: This style of Vermouth is also known as “Vermouth con bitter”. It is a Vermouth di Torino with added bitters to it and sugar to balance it out. Vanilla flavoring can also be added to this Vermouth. The Turinese custom in Italy is to drink this style neat. Carpano Punt-e-Mes (Point and a Half) is a good example of a Vermouth Amaro. It’s Carpano’s top-selling Vermouth and was first produced in 1867. Vermouth all Vaniglia: This is a flavored vermouth. Vermouth di Torino has added vanilla flavoring and some sugar. It mixes very well with Bourbon, Rye and other carmel flavored spirits. Carpano Antica Formula is a good example of this style. Chambéry Blanc: A sweet vermouth style invented by Dolin in Chambéry, France. This area currently has Appellation d’Origine designation. Their Blanc and Dry styles are believed to have been created around 1821. This blanc vermouth is more focused on herbs and their flavors. It will taste less spice forward than other Torino styles of vermouth and is a pale sweet vermouth. Dolin Blanc is a good example. Chambéry: A style of vermouth specifically made by Dolin. They are the only producer left in Chambéry, France. Dry vermouth really took off around the 1890’s in the U.S. due to the Martini craze. It was used as a drinking and cooking ingredient. 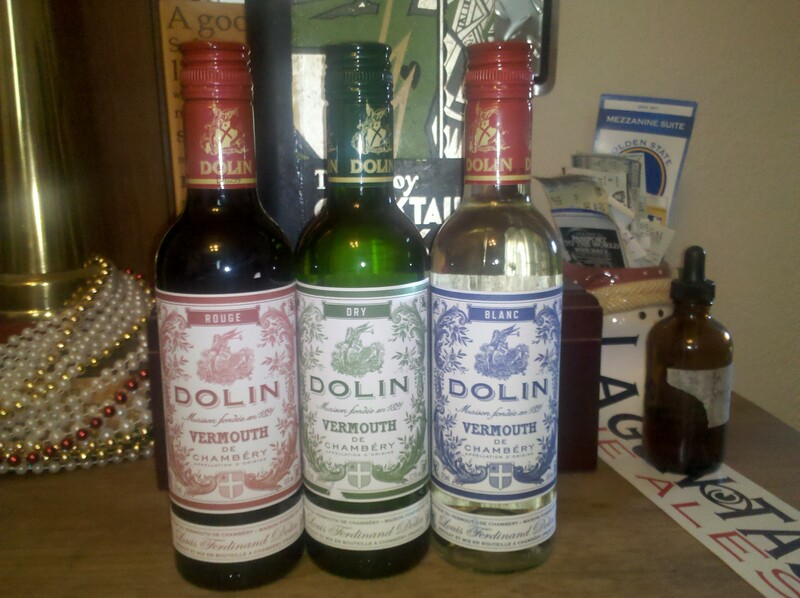 Dolin Dry makes the only Chambéry Dry, Blanc and Rouge styles of vermouth. Marseilles Dry and Rouge: Made in Provence, France. Most French vermouths are pale and dry. In some cases nutmeg and orange peel are added to the vermouths to make them more bitter than sweet styles. Noilly Prat is the only current producer of this style. They make Noilly Prat Original French Dry and Rouge. New World/Western: Vermouth made in the United States. Most companies are smaller producers on the West Coast (California and Oregon). This style focuses on local regional botanicals to be used in their vermouths. Vya makes an extra dry (Western Dry) and sweet style. 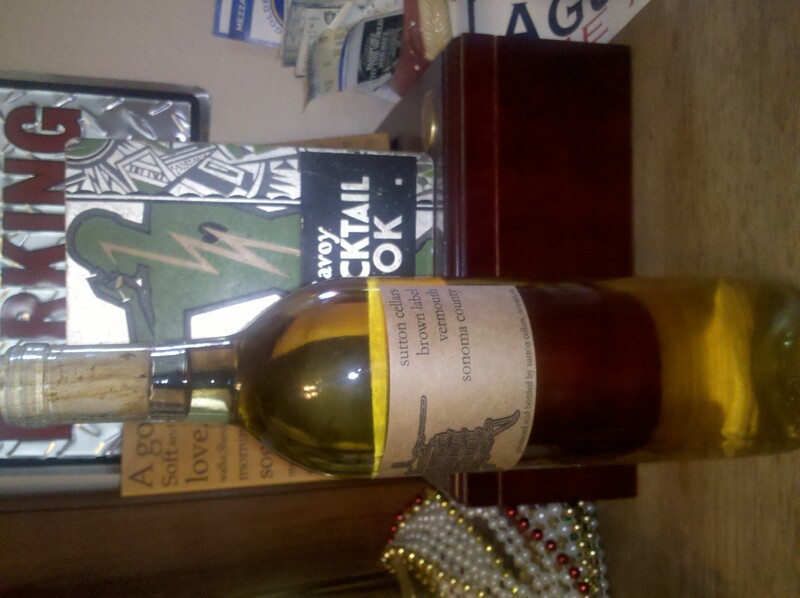 Sutton Cellars also makes a brown label. Modern: These are new contemporary innovations. Some are sold in the U.S. market, others are not available in the U.S. yet. Martini & Rossi Rosato, Martini & Rossi D’Oro (European Market) and Noilly Prat Ambre. Sutton Cellars makes an Orange style of Vermouth, Cinzano makes Vermouth Rosato. Spanish Vermouth: These vermouths are to believed to be influenced by Italian merchants from bringing Italian Vermouth to Spain. Local wines are used as the base though. This vermouths are made by D. Augustus Perucchi in Cataluna, Spain. 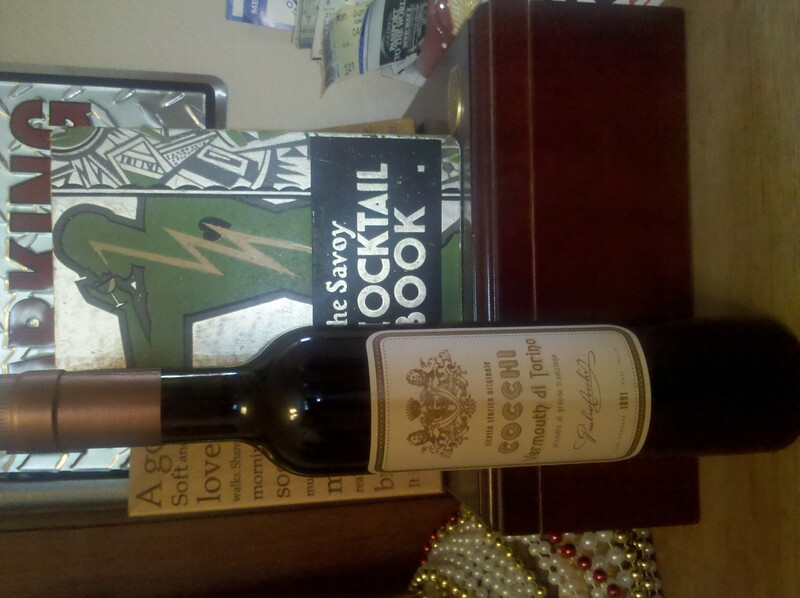 He made three styles; Vermouth Perucchi Rojo, Vermouth Perucchi Blanco and Vermouth Perucchi Extra Dry. Boissiere: Makes a dry style that is light, floral with rose notes with a semi sweet flavor. Cinzano: Supposedly started production in 1757. Made a faintly flavored sweet vermouth. They now produce a Rouge (released in 1816) that is sweet, spicy, candied citrus flavors, cinnamon and finishes with a smooth texture. It is less bold than the Carpano. The Bianco is sweet with a bitter finish and has hints of pepper and other herbs. Cinzano Extra Dry is bittersweet at the start, it’s light, floral with a fragrant nose and finishes dry. 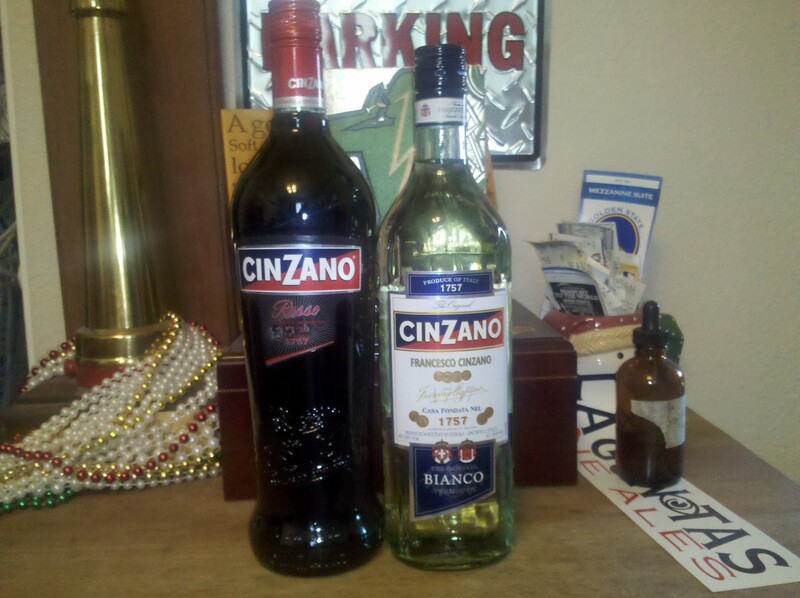 Cinzano also makes a Rouge style of vermouth. Cocchi: Originally made by Giulio Cocchi in 1891. Cocoa, citrus and bitter rhubarb flavors as in traditionally Cocchi styles. Martini & Rossi: Created in 1863, now located in Pessione. Have sweet, dry, rosato and D’Oro (not exported to U.S.). These vermouths traditionally have a higher sugar content, which is good to balance with bitter drinks. It’s perfect in balancing a Negroni. The Rosso is great to mix with. It’s full-bodied with light bitterness and spice. Dried fruits such as fig and prune are also noticeable. The Martini & Rossi Bianco starts off very sweet, has hints of oregano and various herbs and finishes slightly bitter. 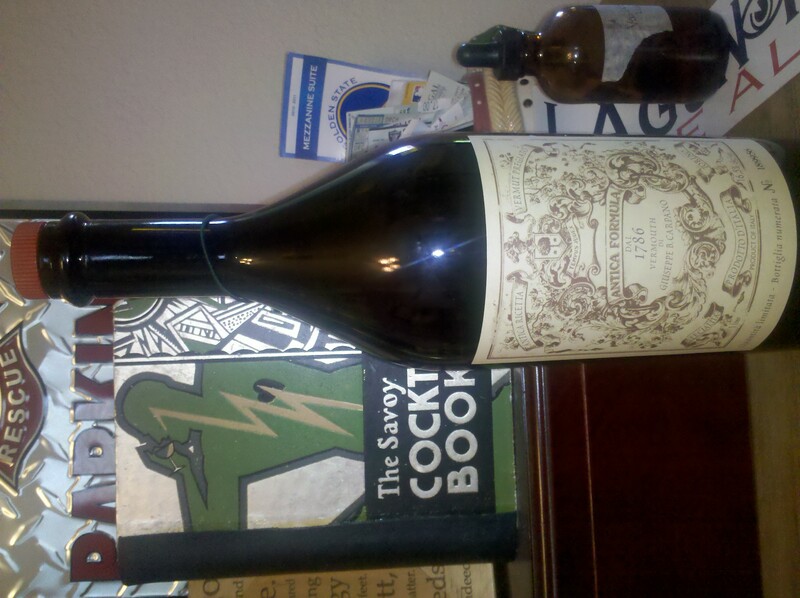 Carpano: Created in 1786. 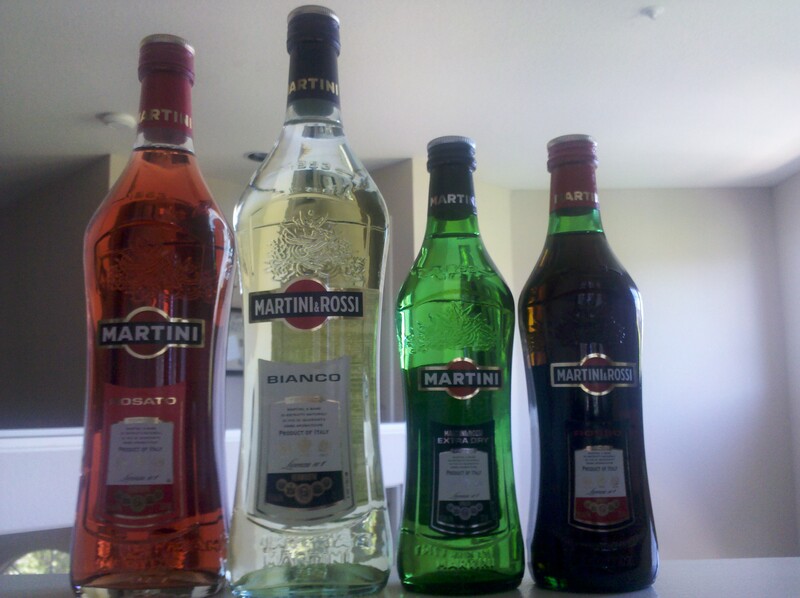 Makes several styles of vermouths from Amaro, Vaniglia and Vermouth di Torino. Great in Manhattan’s. The Antica is a classic sweet vermouth, rich, full-bodied, earthy with citrus flavors. Deep carmel and vanilla flavoring and color, herbaceous and sweet. Finishes with a long spicy, bitter finish. Punt-e-Mes was created around 1870 by the Carpano family. It has an earthy aroma and rich mouthfeel. A light sweetness with a strong bitterness. It’s borderline sweet vermouth and Amari. Noilly Prat: Created around 1813 in southern France. Make traditional sweet and dry vermouths. This is the last of the Marselles styles of vermouths. Some of their vermouth is barrel aged as well. It was first exported to the United States after World War II. It was considered to be a Chambéry imitation to attract martini drinkers. 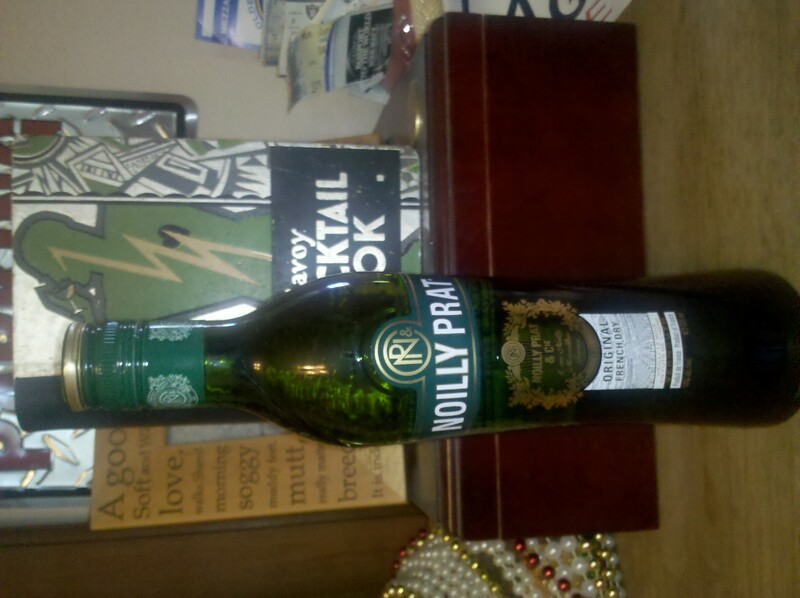 In 2008, Noilly Prat discontinued their American style of vermouth and introduced their European style to U.S. markets. Their Rouge has a strong herbal nose with a menthol aftertaste. It is only exported to the U.S. They make an Extra Dry that’s light and crisp in body with mild floral notes. It has slight oak, chamomile and lemon peel flavors. They are well-known for their pale, dry vermouth. Noilly Prat has an Ambre, but it is not available in the U.S. yet. Dolin: The only producer in this region to receive Appellation d’Origine Controlee for its vermouths in 1932. This company makes four different styles of vermouths; Dry, Sweet, Bianco and a new Chamberyzette which is a strawberry flavored vermouth only available in Europe. Vya: Started in 1999 by owner by Andrew Quady from Madera (Madera County). He makes both sweet and dry versions. He uses local ingredients and herbs to infuse his vermouths with. Vya Dry has lavender, alfalfa, floral and mint flavors. On the palate it tastes of menthol, grass, herbs with a dry and crisp finish. Vya Sweet is made with orange muscat grapes with some port wine. There’s a bouquet pouring from it like molasses and liquorice. It’s a full flavored vermouth like Carpano, with rich and spicy notes and a thick texture on the palate that finishes bitter. A full-bodied vermouth like Vya and Carpano can be very useful when mixing with Absinthe and other full flavored spirits such as Tequila and Whiskey. The spice and rich flavors coming from the vermouth can tame these aggressive spirits. Sutton Cellars: Founded in 1996 by Carl Sutton, located in Novato, CA. Infused with 17 botanicals including chamomile and orange peel, that produce a crisp, fresh tasting aperitif. King Eider: Made by Duckhorn winery in CA. The base of their dry vermouth is a Sauvignon Blanc. They use chamomile, anise, bitter orange peel, cinnamon and rose buds before it is aged in French Oak barrels. “The Straight Truth about Vermouth”, Chicago Tribune.